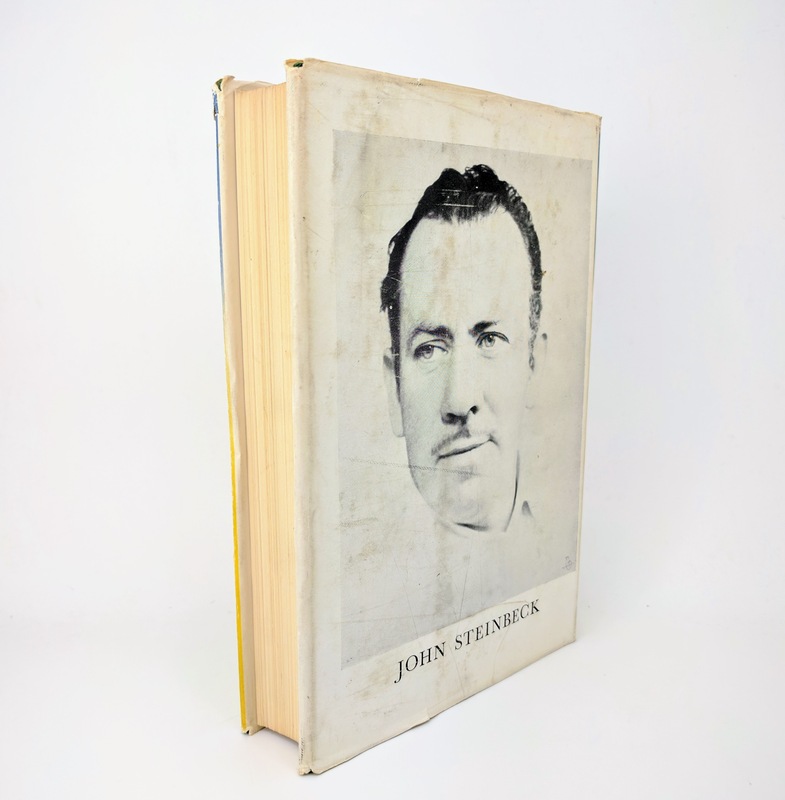 Of Mice and Men By John Steinbeck US First Edition and First Impression with "pendula" on page 9, and a bullet between the numbers on page 88, which were removed from later printings. (New York: Covici Friede, 1937). 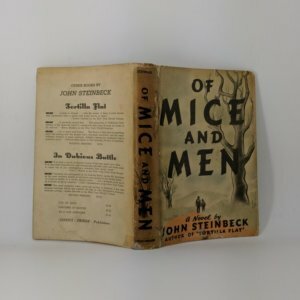 One of only 2,500 copies printed in 1937. 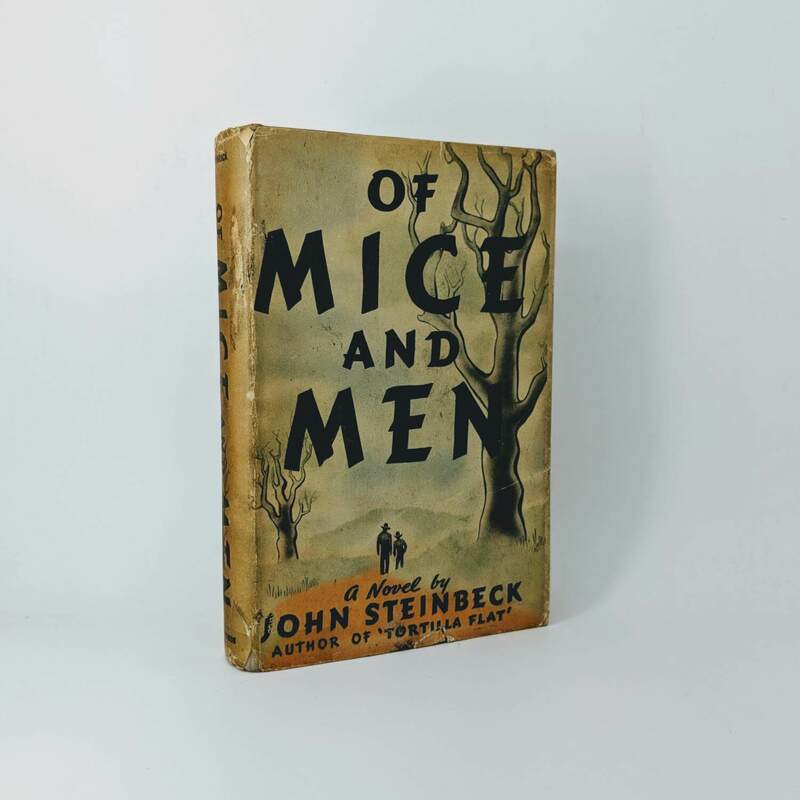 8vo, publisher's beige cloth, front cover and spine stamped in black and orange; spine darkened with insect damage; corners bumped; dust jacket, price-clipped with a little soiling to rear panel and closed tear to front panel; spine panel and folds tanned with some edgewear. 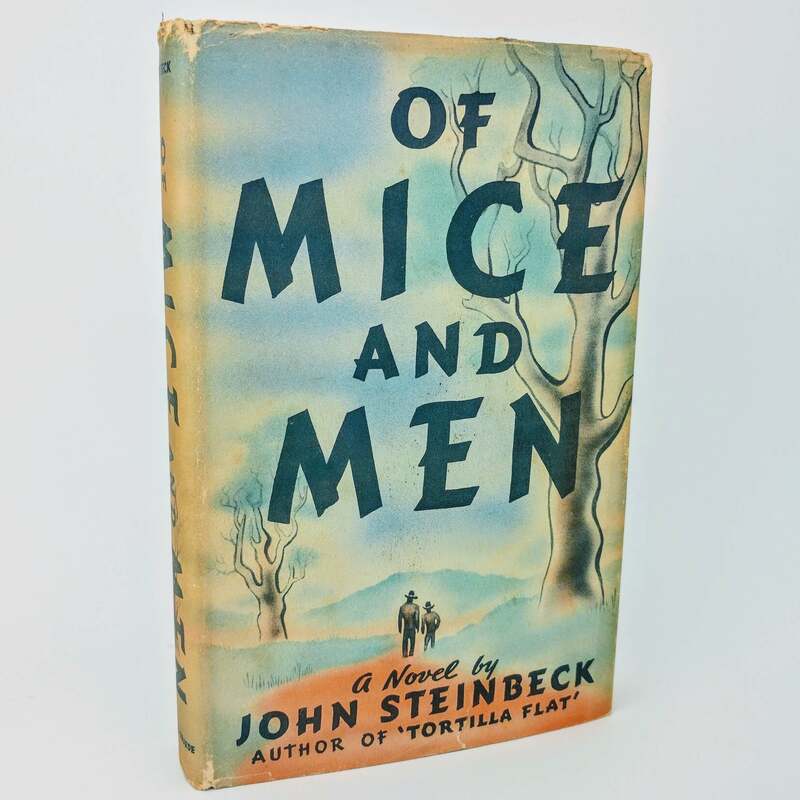 Of Mice and Men By John Steinbeck First edition, second issue - without 'pendula' on page 9 and the dot between the 8s on page 88 - (Covici-Friede, 1937). 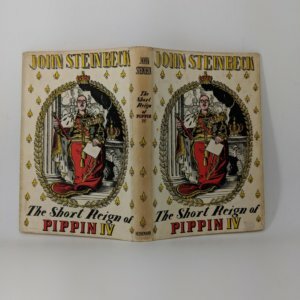 Slight browning to spine with minor compression to spine tips; previous owner name inscription to front endpaper. 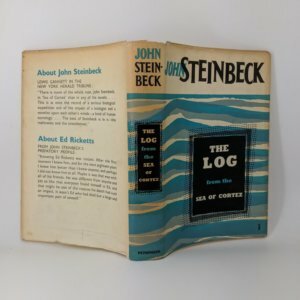 Original dust jacket is clipped with area of abrasion to spine panel and chipping and abrasion to head and foot; browning to spine panel; a few small tears to front and rear panels; light toning to rear panel; corners a little rubbed and chipped; tape repairs to verso and to head and foot of spine. 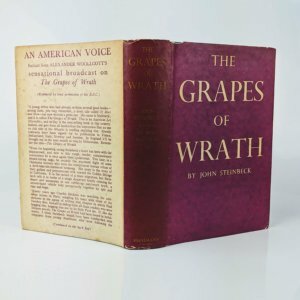 The Grapes of Wrath By John Steinbeck First Edition, First Impression (Viking Press, 1939) in facsimile dust jacket. Some soiling to edges; spine head slightly pulled; a few marks to upper and lower boards; gift inscription on card adhered to reverse of front endpaper; separation of binding between front endpaper, half-title and title page with the same occurring to rear endpaper, but referenced pages still tightly bound. Contents nice and clean. 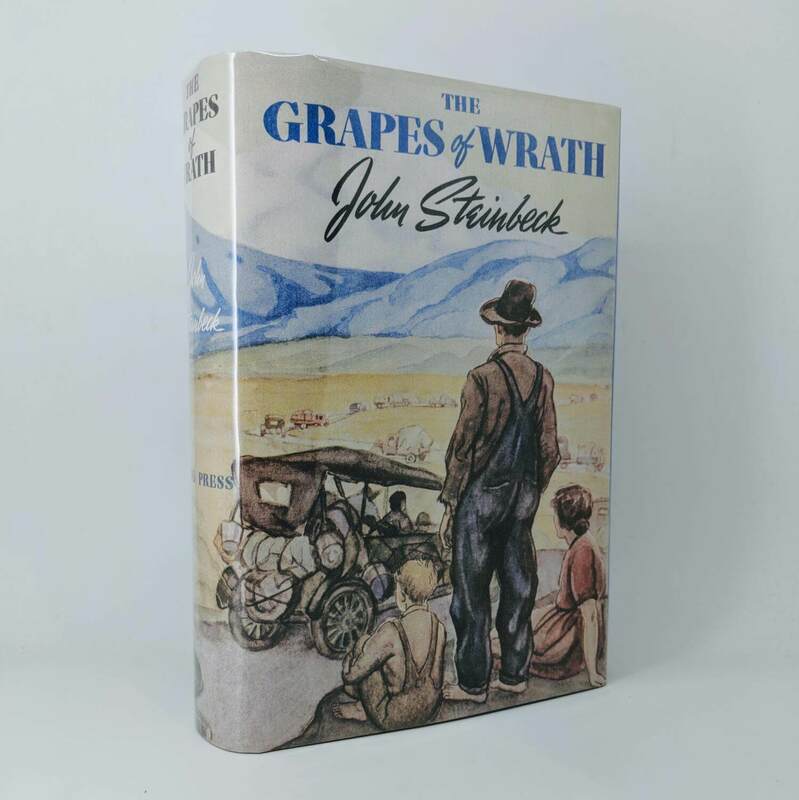 The Grapes of Wrath By John Steinbeck First edition, first impression of the English edition (Heinemann, 1939). 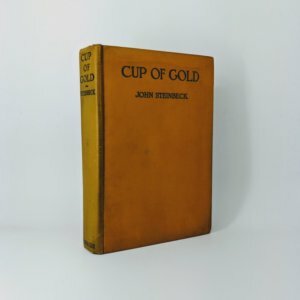 Originally published in the US earlier in the same year. 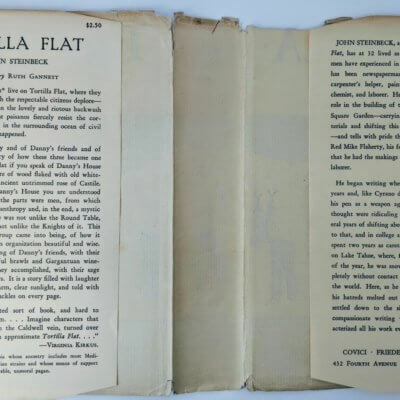 Some foxing to edges and to preliminaries, particularly to front and rear endpapers and half-title; bump to bottom corner of lower board, which has caused a small indentation and abrasion to cloth; small shop sticker to rear paste-down; minor knock to spine head. Boards nice and clean. 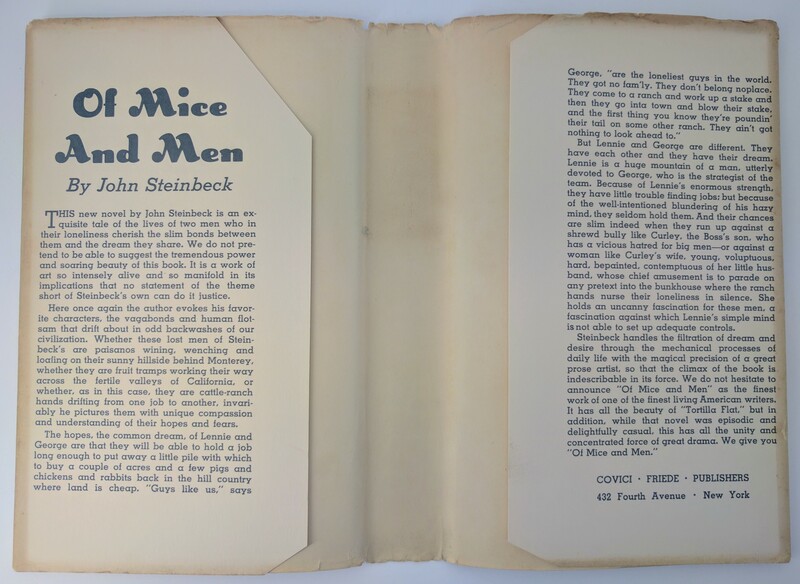 Original and unclipped dust jacket has some light toning to rear panel; occasional rubbing and minor abrasion to edges; toning and spotting to verso; spine panel slightly darkened with minor loss to top corner of front panel and a little marginal toning to flaps. 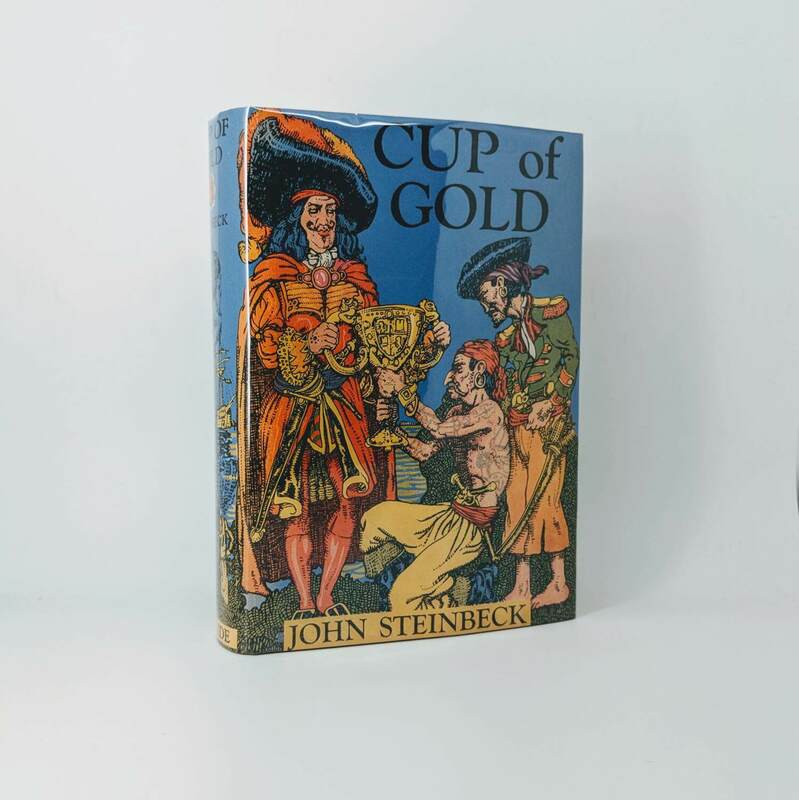 A very good copy nonetheless of a rare edition. 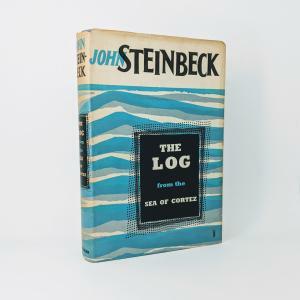 The Log from the Sea of Cortez By John Steinbeck First edition, first impression of the English Edition (William Heinemann Ltd, 1958). Boards nice and clean with minimal bumping to bottom corners of upper and lower boards; some foxing to preliminaries and to final pages with occasional very light foxing throughout; foxing to edges. 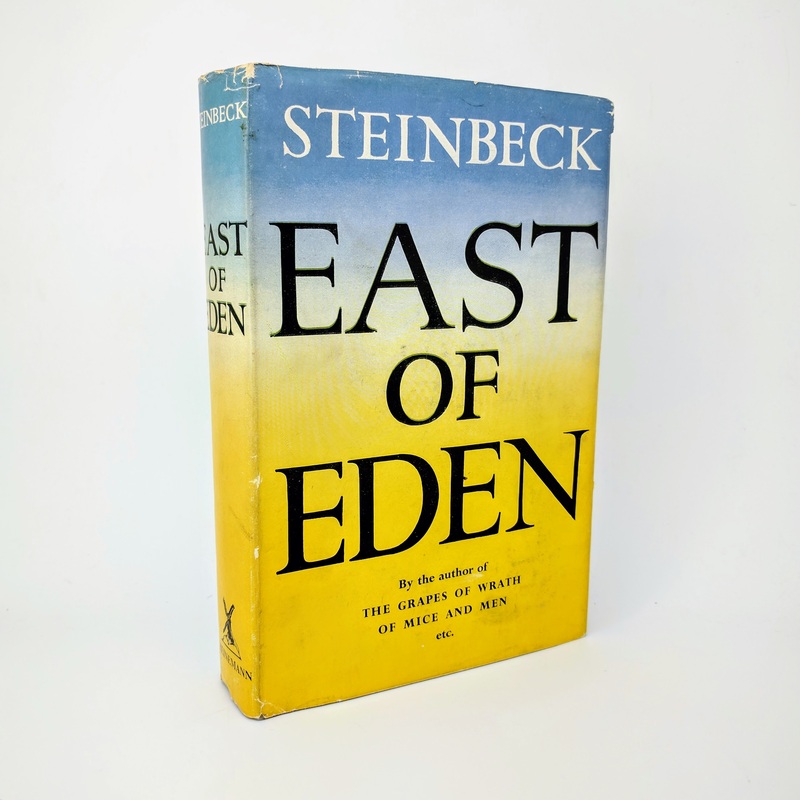 Original and unclipped dust jacket has a small slither of loss to head of spine panel; spine panel toned; light edge wear with a few small tears to bottom edge of rear panel; couple of small chips to top corners of rear and front panels. Overall a very good and bright example. 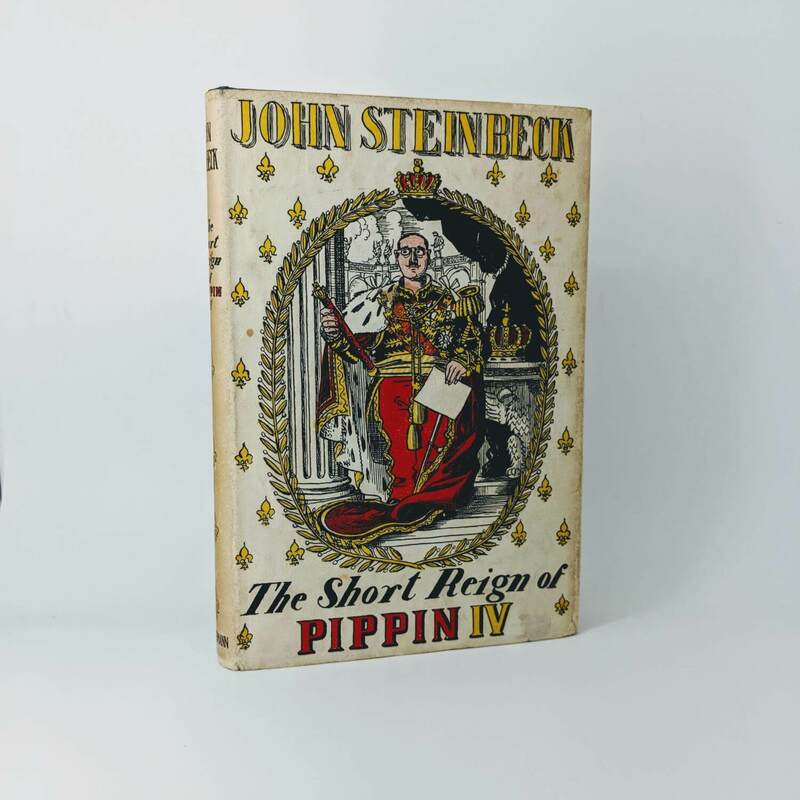 The Short Reign of Pippin IV By John Steinbeck First edition, first impression of the English Edition (William Heinemann Ltd, 1957) with first issue blue boards. 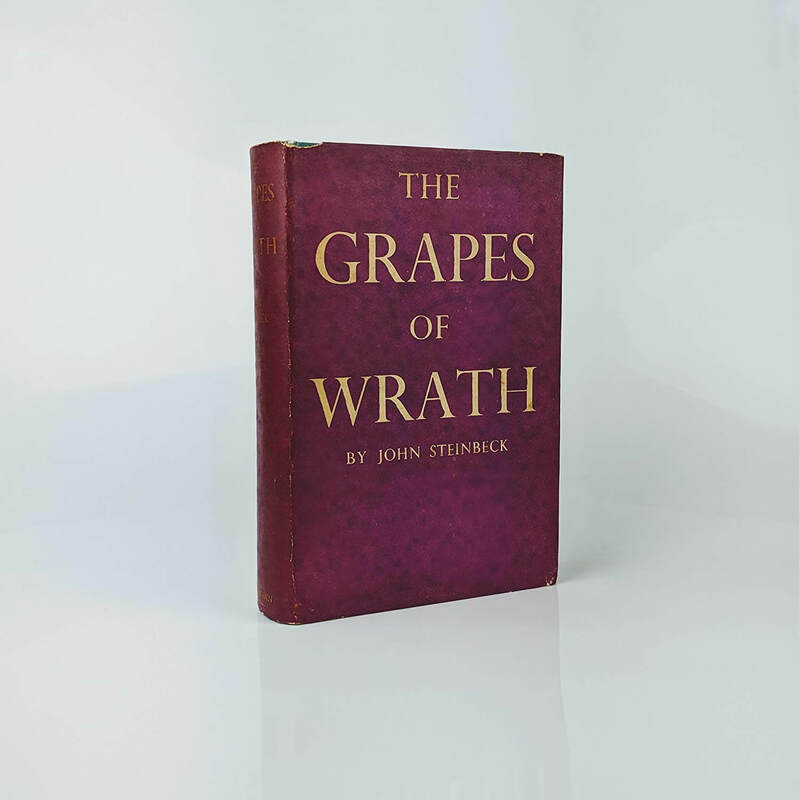 The author's only work of political satire. 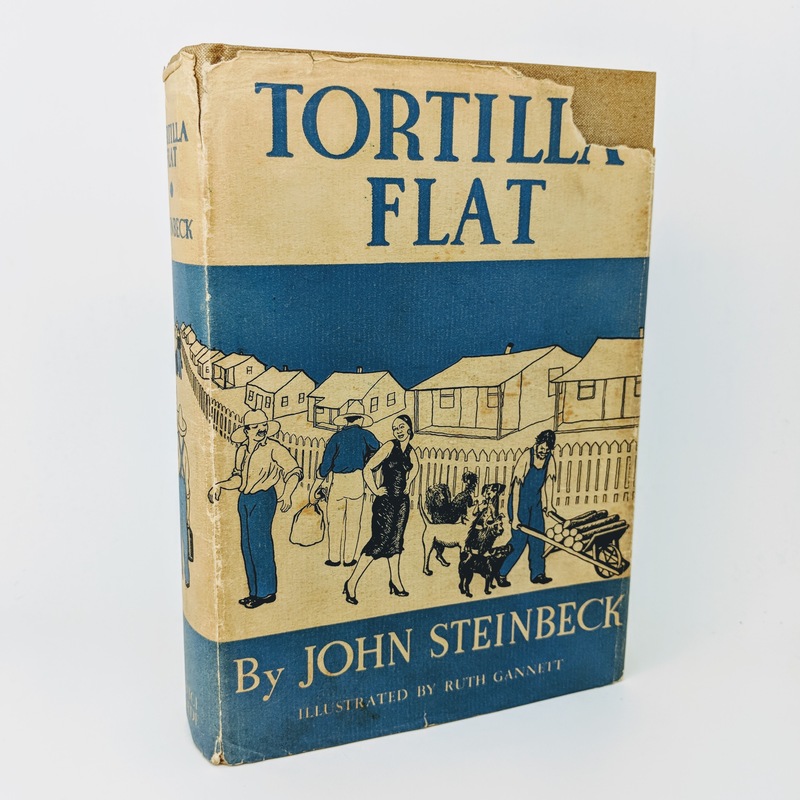 Cover design by Osbert Lancaster. 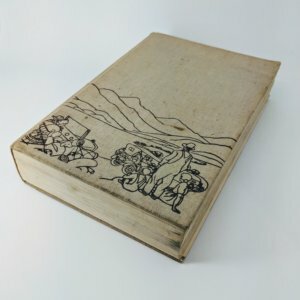 Moderate bumping to spine tips and to bottom corners of upper and lower boards; previous owner inscription to front endpaper. Dust jacket is price-clipped with some toning to spine panel and edge wear; corners a little rubbed and chipped.